15% off at Rustik Bistro and Bar and 15% off all treatments at The Spa. Show the AirAsia boarding pass at reception desk. Address: Jl. Legian No. 73, Kuta 80361 – Bali, Indonesia. 15% off on Maincourse only at Rustik Bistro and Bar. 15% off for all treatments at The Spa. Present your AirAsia boarding pass (valid within 7 days before departure/arrival) at participating Sony Store Outlets (Sony Store KLCC, Sony Store The Curve and Extrabass Pyramid). This promotion is applicable for AirAsia guests on international flights/domestic flights to/from Kuala Lumpur with valid AirAsia boarding pass/mobile boarding pass (within 7 days of arrival/departure in Kuala Lumpur). Only applicable for Personal Audio products. Offer valid from 1 October 2018 to 31 March 2019. Offer is applicable for purchases in Sony Store KLCC, Sony Store The Curve and Extrabass Pyramid. Customer will have to present the AirAsia boarding pass and passport to be eligible for the offer. Each boarding pass can only purchase maximum of 1 item. 15% for all personal audio products. AirAsia shall not be responsible for any breach, default, negligence, or misconduct of Sony Malaysia, its employees, representatives or agents. Present your AirAsia boarding pass at the ticketing counter of National Gallery of Singapore when purchasing the General Admission ticket. 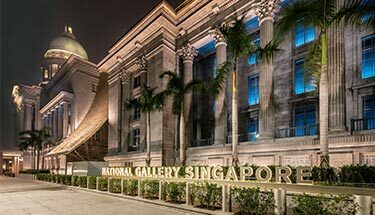 National Gallery Singapore is a visual arts institution which oversees the largest public collection of modern art in Singapore and Southeast Asia. Situated in the heart of the Civic District, the Gallery is housed in two national monuments—City Hall and former Supreme Court—that have been beautifully restored and transformed into this exciting venue. Reflecting Singapore’s unique heritage and geographical location, the Gallery features Singapore and Southeast Asian art from Singapore’s National Collection in its long-term and special exhibitions. The Gallery also works with international museums to jointly present Southeast Asian art in the global context, positioning Singapore as a regional and international hub for the visual arts. Valid for all AirAsia guests to Singaporeexcept for Singaporeans and permanent residents. Boarding pass must be presented at the ticketing counter of National Gallery Singapore to receive the discount. General admission ticket purchased is non-refundable or exchangeable for cash and is only valid for the day of entry. National Gallery Singapore reserves the right to amend the terms and conditions without prior notice. AirAsia shall not be responsible for any breach, default, negligence, or misconduct of National Gallery Singapore, its employees, representatives or agents. Discounts on regular fare ferry tickets: HK$10 off per Economy, HK$20 off per Super, and HK$30 off per Premier Grand class ticket. from Gongbei border to Macau International Airport by Air Link Express (Macau) Co., Ltd.
MOP35 off Express Link bus service from Gongbei border to Macau International Airport. 1. 15% off standard tickets for Golden Reel, Batman Dark Flight and Warner Bros. Fun Zone. 2. 10% off standard tickets for ELĒKRŎN. 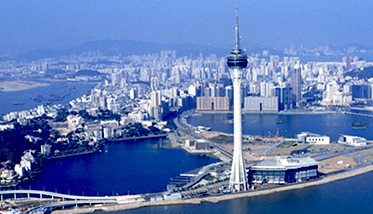 Purchase an Adult Admission Ticket to Macau Tower Observation Deck at only MOP100 and receive a complimentary 4 minutes telescope card (pick up together at the ticketing counter). Purchase MSC Exhibition Center concession tickets at a special rate of MOP 15.00 per person, MSC Planetarium 2D show at MOP 25.00 per person and MSC Planetarium 3D show at MOP 35.00 per person. AirAsia guest shall enjoy HK$10 discount on Economy class or HK$20 discount on Super class & HK$30 discount on Premier Grand class upon purchase of one-way TurboJET HK/Kowloon/Tuen Mun/HKIA to Macau and Taipa route tickets at published fare at designated ticketing counters upon presentation of AirAsia boarding pass. Offer is subject to seat availability and valid for sailing departures on or before 31 December 2018 except black-out dates (Blockout Dates 2019: 16 - 20 Feb, 30 - 31 Mar, 1 - 2 Apr, 16 - 18 Jun, 30 Jun, 1 - 2 Jul, 22 - 25 Jul, 29 - 30 Sep, 1 Oct, 22 - 26 Dec). The issued ticket is valid only for sailing on date and time as specified and is non-changeable and non-refundable. The offer is applicable to guest with boarding pass (original copy) within 7 days from the origin departure date or guests with flight itinerary on the same day or 1 day prior to flight departure date. Photocopy of boarding pass shall not be accepted. The offer is based on departure date only. The ticket issued is subject to TurboJET's Terms and Condition of Carriage of guests and luggage. AirAsia shall not be responsible for any breach, default, negligence, or misconduct of TurboJET, its employees, representatives or agents. Show an e-boarding pass or flight itinerary with your passport and get MOP35 off an Express Link coach ticket from Gongbei border to Macau International Airport. After clearance from the mainland immigration and customs, guests can check in at Macau International Airport Express Link Office located at the Gongbei border next to Kee Kwan Station. Guests then board the bus directly to the Express Link Central Facility at Macau International Airport, through the security check and then proceed to the departure hall. Fully Independent Traveller (FIT) ticket price for Express Link service from Gongbei border to Macau International Airport is MOP145 per person. Each guest can also enjoy a passenger tax refund of MOP 110. Guests under the age of 2 do not enjoy the passenger tax refund policy but needs to pay for the service charge of MOP40/pax for issuance of boarding pass. AirAsia FIT passenger shall enjoy a discount of MOP35 upon purchase of ticket for "Express Link" service from Gongbei border to MFM airport as long as you can present AirAsia flight itinerary(E-ticket) on the same day with the flight departure date with your passport. AirAsia shall not be responsible for any breach, default, negligence, or misconduct of Express Link, its employees, representatives or agents. Present AirAsia boarding pass (valid within 7 days before departure/arrival) to enjoy 15% off up to FOUR (4) standard adult tickets for Golden Reel, Batman Dark Flight, Warner Bros. Fun Zone or House of Magic. Purchases can be made through Studio City Box Offices only. 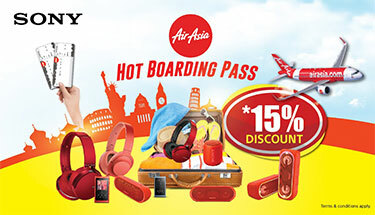 AirAsia boarding pass holders must state their intention of enjoying this offer upon booking. All offers are non-transferable and may only be used by AirAsia boarding pass Holder. No cancellation or amendment is allowed once the booking is confirmed. The offers cannot be enjoyed in conjunction with any other offers or promotions. The offers are not redeemable for cash and are not exchangeable for other products and services. Show dates shall be determined by Management at its absolute discretion. Management reserves the final right to vary the show dates or cancel the show at any time without prior notice. In the event of any dispute, the decision of Management shall be final and conclusive. In the event of cancellation/postponement, Management reserves the right to refund the amount paid for the tickets or to reschedule the show. Management reserves the right of final decision on the amendments and interpretation of these terms and conditions (including the use, suspension and cancellation of this promotion). AirAsia shall not be responsible for any breach, default, negligence, or misconduct of Studio City, its employees, representatives or agents. Purchases by phone or email (showenquiry@cod-macau.com) must be made using credit cards only. To collect show tickets at The House of Dancing Water Box Office, member must present the valid AirAsia boarding pass, the transacted credit card for booking and the booking confirmation letter. Show dates shall be determined by COD Theatre Limited at its absolute discretion. COD Theatre Limited reserves the final right to vary the show dates or cancel the show at any time without prior notice. In the event of any dispute, the decision of City of Dreams shall be final and conclusive. In the event of cancellation/postponement, City of Dreams reserves the right to refund the amount paid for the tickets or to reschedule the show. Melco Crown (City of Dreams) Hotels Limited reserves the right of final decision on the amendments and interpretation of these terms and conditions (including the use, suspension and cancellation of this promotion). AirAsia shall not be responsible for any breach, default, negligence, or misconduct of Melco Crown (City of Dreams), its employees, representatives or agents. Present either an AirAsia boarding pass (departure from any cities, arrival in Macao) OR flight itinerary (departure from Macao) 7 days before/after departure date upon patronage before purchasing tickets at AJ Hackett Macau Tower Limited, Level T2, Adventure Zone - Macau Tower. The offer cannot be used in conjunction with any other discounts, promotional offer, or dining coupons. In cause of dispute, the decision of AJHMT Convention & Entertainment Center shall be final and conclusive. AirAsia shall not be responsible for any breach, default, negligence, or misconduct of AJHMT Convention & Entertainment Centre, its employees, representatives or agents. Present valid AirAsia boarding pass at Macau Tower ticketing counter . AirAsia shall not be responsible for any breach, default, negligence, or misconduct of Macau Tower Convention and Entertainment Centre, its employees, representatives or agents. Promotion is applicable to AirAsia guests 7 days before/after the date of departure/arrival. Offer is not valid with other promotions and/or discounts. AirAsia shall not be responsible for any breach, default, negligence, or misconduct of Macau Science Center, its employees, representatives or agents. Present an original, valid boarding pass or travel itinerary (e-ticket) within 7 days upon arrival in Macao or Hong Kong, transit or depart from Macao or Hong Kong to other destination to enjoy this offer. You must present an original, valid boarding pass or travel itinerary (e-ticket) within 7 days upon arrival in Macao or Hong Kong, transit or depart from Macao or Hong Kong to other destination to enjoy this offer. Each AirAsia boarding pass can only allow one discount redemption. The name on the boarding pass must be identical to the name shown on the identification document presented. The airline code on the boarding pass must be "AK / FD / Z2 / QZ" and the destination or point of departure must be Macao (MFM) or Hong Kong (HKG). This offer cannot be enjoyed in conjunction with any other offers or promotions. It is not redeemable for cash and is not exchangeable for other products or services. All tickets sold and issued are final. All completed and confirmed transactions cannot be cancelled and are non-refundable and non-exchangeable for any reason. AirAsia and MGM reserves the right to hold final decisions on amendments to and interpretation of these terms and conditions (including the use, suspension and cancellation of this promotion). AirAsia shall not be responsible for any breach, default, negligence, or misconduct of MGM Cotai, its employees, representatives or agents. Present your AirAsia X boarding pass at Tokyo’s Sony Ginza Store and enjoy free gifts! 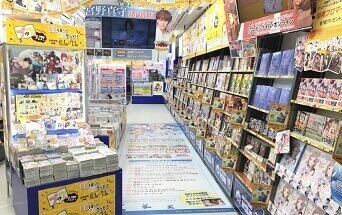 Fly and Shop at Animate! Present your AirAsia X boarding pass at participating Animate stores in Tokyo and Osaka and receive 5% discount on all merchandise! Present a valid AirAsia boarding pass at Sony Store Ginza to redeem this offer. This Promo is offered to all boarding pass holders of AirAsia X flights (carrier codes D7, XJ and XT) arriving in Japan during the Campaign Period. One (1) boarding pass is entitled to receive one (1) free gift. Sony and AirAsia reserve the right to refuse, alter, amend, delete or add to the stated terms and conditions or withdraw this promotion at any time without prior notice. AirAsia shall not be responsible for any breach, default, negligence, or misconduct of Sony Japan, its employees, representatives or agents. Promo will commence from 1 July 2018 until 31 December 2018. Limit one (1) boarding pass for a 5% discount in a single-receipt purchase. Animate and AirAsia reserve the right to refuse, alter, amend, delete or add to the stated terms and conditions or withdraw this promotion at any time without prior notice. AirAsia shall not be responsible for any breach, default, negligence, or misconduct of Animate, its employees, representatives or agents. Shopper must present the AirAsia domestic or international boarding pass to enjoy 10% discount on regular-priced items, with a minimum P2,000 single-receipt purchase from participating THE SM STORE branches. Discount is valid 7 days upon arrival. This Boarding Pass privilege is not in conjunction with other store promotions, discounts, or coupons. Per DTI FTEB Permit Number 2269, Series of 2018. AirAsia shall not be responsible for any breach, default, negligence, or misconduct of The SM Store, its employees, representatives or agents. Free travel offer to all AirAsia Guests from 5 December until 12 December 2018. Buy 1 single scoop ice-cream and get 1 free. 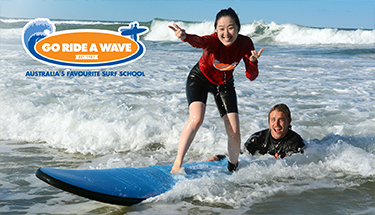 25% discount for a 2-hour Go Ride A Wave public surf lesson. Buy one coffee, get one free (up to the value of $5). Complimentary tasting of 4x 100% naturally crafted Flying Brick Cider Co ciders. 10% off ALL purchases - dining, beverages, provedore included. 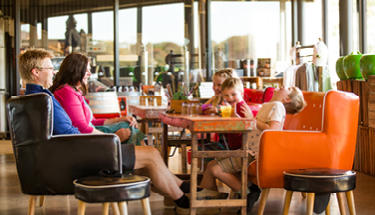 Complimentary wine tasting of Jack Rabbit Vineyard wines grown and crafted on The Bellarine. 10% off ALL purchases – food, beverages, provedore, takeaway wines included. Complimentary wine tasting across the acclaimed stable of premium cool climate wines. 10% off ALL purchases – food, beverages, provedore, takeaway wine included. Present your AirAsia boarding pass at the SkyBus ticket booth at Avalon Airport or Southern Cross Station (Melbourne, Victoria). 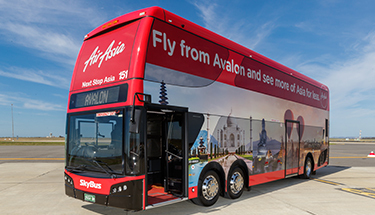 SkyBus is the budget-friendly way to travel to and from Avalon Airport. Passengers can travel with SkyBus as they go to and from Melbourne City, as well as Geelong and its surrounding regions, and thanks to their new Australian-built double-deckers, SkyBus is now delivering increased passenger capacity, meeting all AirAsia X flights, incredibly popular USB charging ports for each seat, unlimited luggage, free Wi-Fi and free travel for kids on family tickets. Valid for all AirAsia guests upon presentation of boarding pass from 5 December 2018 until 2 February 2019. Offer is not valid with any other promotions, discounts and / or online purchases. Offer is valid for ticket counter purchases only, at Avalon Airport or Southern Cross Station. It does not include online or eKiosk tickets. Valid for Avalon City Express rides between Avalon Airport and Melbourne City. Present your AirAsia boarding pass / e-boarding pass upon order and within 7 days of arrival or departure. Free entry. Open from 9am – 5pm, 7 days a week. Approximately 10 minutes by car from Torquay to 1200 Great Ocean Road, Bellbrae. 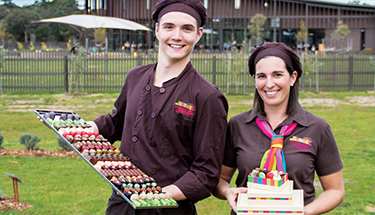 15 acres of landscaped grounds, all-day café and showroom full of chocolate products, all made on-site and on-view. Indoor and outdoor ice-cream kiosks. These offers are available to all AirAsia guests with an AirAsia boarding pass / e-boarding pass within 7 days of arrival or departure. One redemption per AirAsia guest. No claims will be entertained for any lost, torn or defaced boarding passes. These offers cannot be combined with other promotions or discounts. Offers are valid until 30 June 2019. AirAsia shall not be responsible for any breach, default, negligence, or misconduct of Great Ocean Road Chocolaterie & Ice Creamery, its employees, representatives or agents. Present your AirAsia boarding pass / e-boarding pass upon making payment to enjoy the privilege. This promotion is applicable for AirAsia guests who are travelling on international flights to/from Avalon, Auckland, Gold Coast and are within 7 days of their arrival/departure date. This promotion is valid from 1 December 2018 – 30 November 2019. This promotion is not valid with any other on-going promotions. AirAsia guests must make a booking by calling 1300132441 or +61352632111 and must mention to the operator they would like to book the AirAsia promotional surf lesson with 25% discount. A minimum number of participants required for each lesson. If the lessons have NOT reached these minimum numbers, AirAsia guests will be notified before the end of the business day (one day before the lesson) to work out an alternative option (99% of the time, minimum numbers are reached and lessons operate as advertised). In the event Go Ride A Wave and AirAsia guest fail to work out an alternative option, Go Ride A Wave shall provide a full refund. 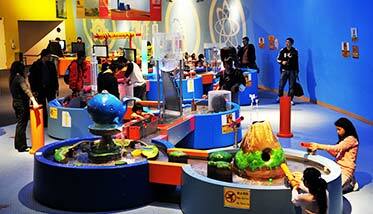 Lessons are open to AirAsia guests aged 8 and above. AirAsia shall not be responsible for any breach, default, negligence, or misconduct of Go Ride A Wave, its employees, representatives or agents. This promotion is only valid at Sailor’s Rest branch in 3 Moorabool Street, Geelong VIC 3220 Australia. AirAsia shall not be responsible for any breach, default, negligence, or misconduct of Sailors' Rest, its employees, representatives or agents. These offers are available to all AirAsia guests with an AirAsia boarding pass/e-boarding pass within 7 days of arrival or departure. This Promotion is not valid with any other ongoing promotion. Offers are valid until 31 December 2019. 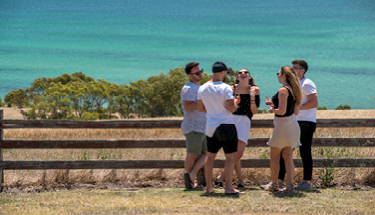 AirAsia guest must present boarding pass/e-boarding pass to Jack Rabbit Vineyard to avail complimentary wine tasting of Jack Rabbit Vineyard sophisticated wines grown and crafted on The Bellarine and 10% off ALL purchases – food, beverages, provedore, takeaway wines included. 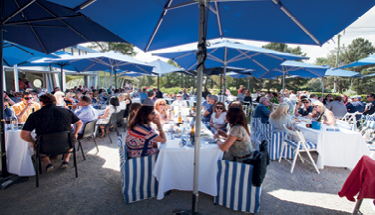 AirAsia guest must present boarding pass/e-boarding pass to Leura Park Estate to avail complimentary wine tasting across the acclaimed stable of premium cool climate wines and 10% off ALL purchases – food, beverages, provedore, takeaway wines included. AirAsia guest must present boarding pass/e-boarding pass to Curlewis Golf Club upon registration to enjoy all discounts offer. 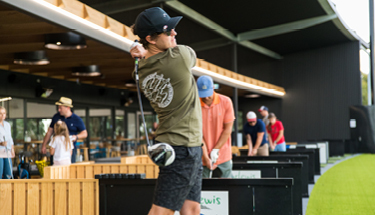 10% discount off Green Fees to play on the stunning Curlewis Golf Course.